It was founded by Ralph Nader to educate the public about an often-maligned area of law. Let’s talk torts. Not those delicious cakes (but let’s reserve some time to talk about those later). These torts are the justice kind, the legal kind, the kind that mean average citizens can sue automakers for faulty products, or a doctor for malpractice. 137 graves holding New England's earliest residents. Connecticut sites linked to the only trial to ever use demonic possession as a criminal defense. The American Museum of Tort Law wants to get people talking about and understanding the ins and outs of this often complicated, often maligned area of the law concerning consumer safety and personal injury. Housed in a former bank, the museum was founded in 2015 by noted consumer advocate and frequent presidential candidate Ralph Nader, in his hometown of Winsted, Connecticut. 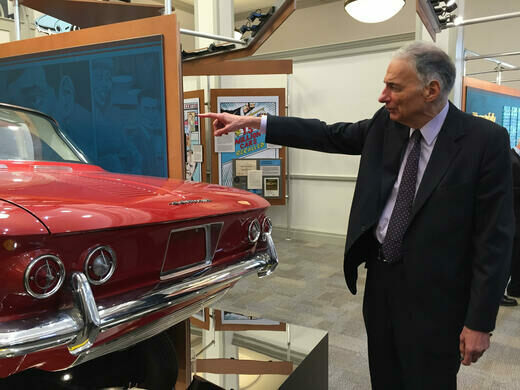 Nader wanted a place to teach people about the importance of consumer protections, an issue he’s well-versed in. Although the museum features an exhibit dedicated to Nader’s Unsafe at Any Speed victories, it is not a collection all about his work. 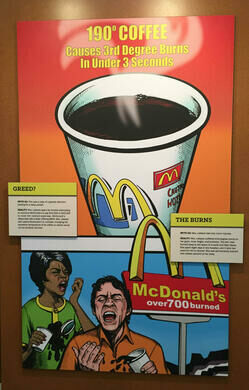 Instead, the focus is mainly on landmark tort law cases like exploding Pintos, tobacco lawsuits, and perhaps the most well-known tort case, Liebeck vs. McDonald’s in 1992, the case involving hot coffee that brought tort law into the public conversation. The museum also sees its mission as being a place to educate the public and dispel myths they may be upholding about this part of the law. The mission is helped along with signage illustrated by Pulitzer Prize-winning cartoonist Matt Wuerker, and Nader hopes that one day the museum can host reenactments of some of the famous tort law cases. 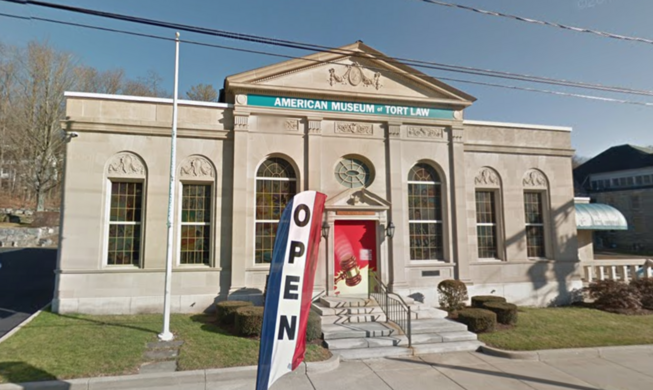 Effective on January 1, 2019, The American Museum of Tort Law will be open only for special programs, and for scheduled tours of 25 or more. Who knew the Devil's domain was a hot spot for tubing? A former copper mine which became a truly unsuccessful prison. Thousands of American timepieces on display in the former clock-making capital of the country. One man's quest to fix his toilet unearthed over 5,000 artifacts spanning more than 2,000 years of history. A fascinating little museum all about the rich history of Peru’s famous plant.